Special Order Approximately 3-9 DAYS if at stock at manufacturer's warehouse. Call store for details 618-233-0667. 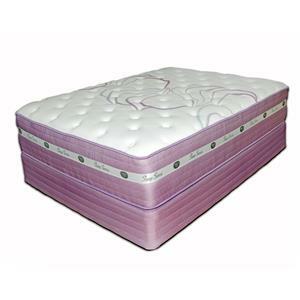 The Sleep Sense Purple Twin 14.5" Latex Hybrid Mattress and Amish Wood Eco-Base Foundation by Spring Air at Mueller Furniture in the Lake St. Louis, Wentzville, O'Fallon, MO, St.Charles, St.Louis Area, MO Furniture Store and Belleville, Shiloh, O'Fallon,IL area. Product availability may vary. Contact us for the most current availability on this product. 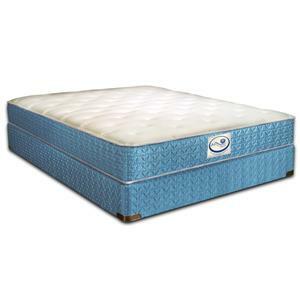 LatexHybrid-T Twin 14.5" Latex Hybrid Mattress 1 14.5"
Sleep Sense innovation incorporates an inner core construction made up of 7 zones of pocketed coils varying heights at the most critical body points – the shoulders, hips and back. This patented pocketed coil design provides relief to the body’s high-pressure areas, such as your hips and shoulders and give lower back support for a comfortable and restful night’s sleep. This superior core construction combined with your choice of gel-infused memory foam or natural latex and gel-infused memory foam provides a more supportive and comfortable nights sleep. 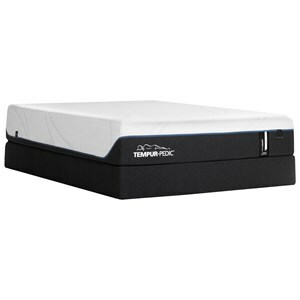 You get the best of both worlds with the support of springs as well as the cushioning of a memory foam bed, all at a great value. The Sleep Sense Purple collection is a great option if you are looking for Mattresses in the Lake St. Louis, Wentzville, O'Fallon, MO, St.Charles, St.Louis Area, MO Furniture Store and Belleville, Shiloh, O'Fallon,IL area. Browse other items in the Sleep Sense Purple collection from Mueller Furniture in the Lake St. Louis, Wentzville, O'Fallon, MO, St.Charles, St.Louis Area, MO Furniture Store and Belleville, Shiloh, O'Fallon,IL area.